Sabaton have released the first dates for their 2017 European tour. The Swedish metal outfit will hit the road in support of upcoming eighth album The Last Stand. The trek will kick off in Germany on January 7, with Accept onboard as main support. Sabaton bass player Par Sundstrom: “We have just finished our new album, which is titled The Last Stand and we know we have done a great album, which all fans of Sabaton can appreciate for many years. Accept guitarist Wolf Hoffmann: “Accepting a tour with Sabaton is the result of a very cool relationship we have with the band. “We have not seen a band who has such a clear vision where they want to go and it is rare that bands can translate their visions into real action. 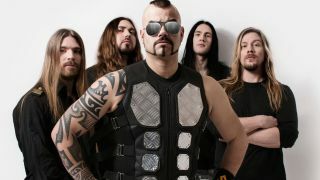 Sabaton are a hard-working band and are a serious role model for aspiring musicians and young bands. Tickets are on sale now via Sabaton’s website. More dates will be added in due course.